Set in the heart of a 150,000 sq km conservation catchment area, Ruaha National Park is home to one of the largest populations of elephant on the planet, vast herds of buffalo and super prides of lion. 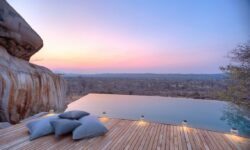 Perched on a rocky outcrop in one of the best locations the park has to offer, Jabali Ridge is a sophisticated retreat with spectacular views of riverbeds studded with spiky palms and broad baobabs. 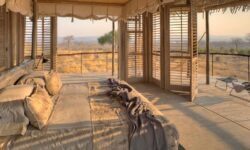 It is an exclusive base from which to discover Ruaha on day and night game drives and walking safaris. 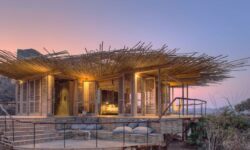 This Elegant and sophisticated accommodation is in a spectacular location with high densities of lion, leopard, elephant and buffalo and is in a excellent location close the core game viewing area of the Mwagusi River . 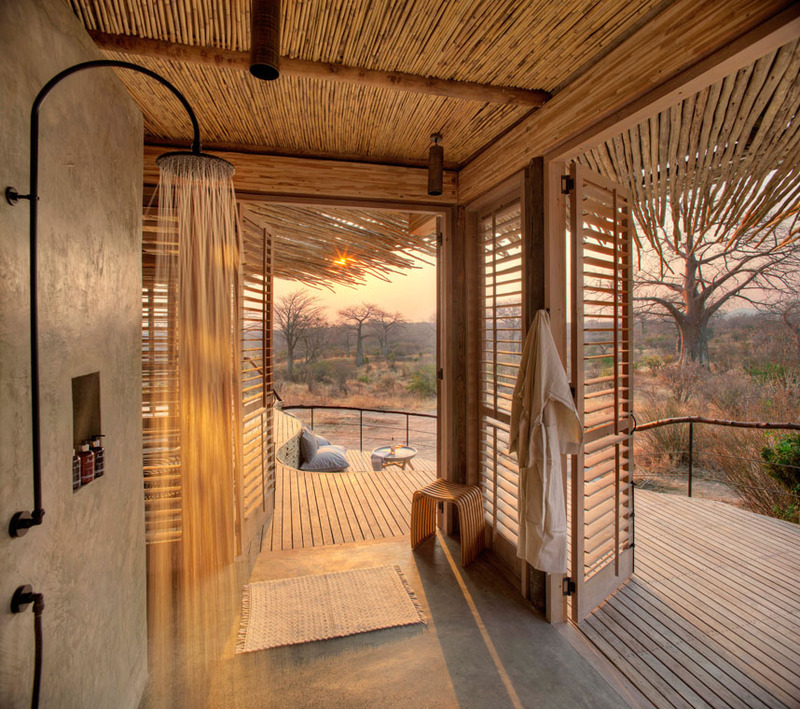 The Lodge is the perfect complement to the traditional northern safari circuit. Jabali Ridge offers 10 Stylish permanent structure rooms . 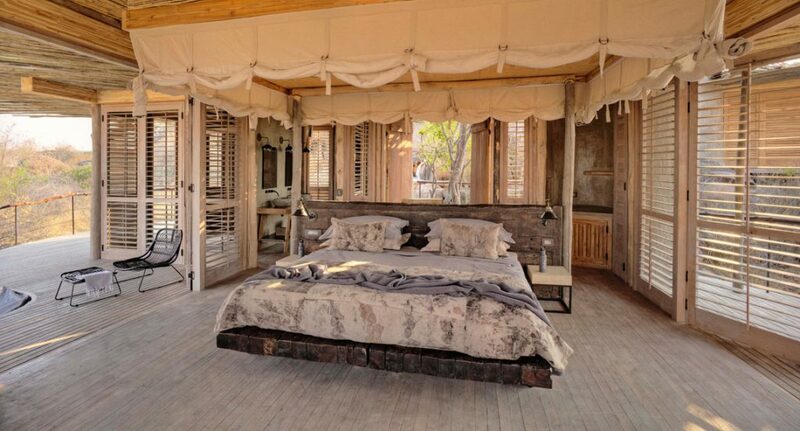 The rooms consist of Twin and Double beds, mosquito nets, safety deposit box, private deck and outdoor lounge. 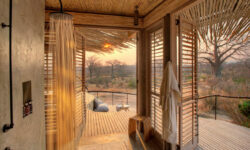 The lodge also offers a Swimming pool, spa, In room WIFI ( service can be slow ).